We’d like to give you a FREE Retail Profit Report filled with proven, simple ideas about how you can get more sales in your Auckland retail business. Learn how you can do it quickly, easily and at higher margins than you thought possible. 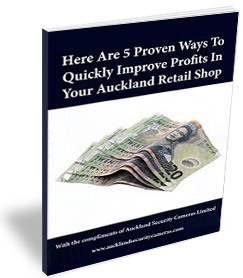 As you can see “ Here Are 5 Proven Ways To Quickly Improve Profits In Your Auckland Retail Shop” packs a lot of priceless information into its pages, and it’s written in plain no-nonsense English. It’s based on over 15 years experience helping retail businesses make more profit, as well as pulling in critical lessons from the most comprehensive retail research in the world. Just complete the order form below and we’ll get your PDF copy of the free retail profit report right out to you by e-mail. Or if you prefer, you can get your free copy of “Here Are 5 Proven Ways To Quickly Improve Profits In Your Auckland Retail Shop” by phoning Brian on (09) 551 7716 right now.